He's hilarious and fun and one of my favorite people on earth. But he is NOT good at sitting still for long periods of time. I think it may have something to do with being 5 years old. Perhaps you have someone in your house who has the same difficulty? He is the inspiration for a little project I've been working on. I envision it as a way to help keep his hands busy and his heart focused on Christ during our church meetings. It's a quiet book, for older children. Ethan is just beginning to read and write and is overflowing with enthusiasm for his new skills. 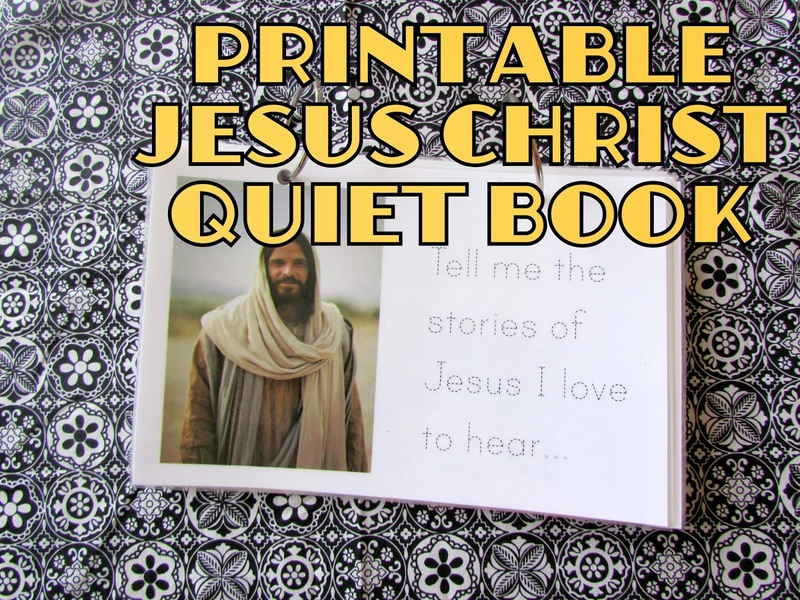 I put together this book with pictures of Christ and words from LDS Primary songs for him to read. It includes pages to trace and doodle on as well. Any child this age loves to listen to stories, so I also included full-page pictures from Christ's life. We will talk about the stories the represent. Set-up is very easy: I printed the pages on cardstock, cut them in half and laminated them. Then I punched two holes in the top and connected the pages with binder rings. Ethan will be receiving this book in his Easter basket, along with a wet erase pen. And your rambunctious child could have his/her own, too! If you have any difficulty downloading the pdf, please let me know. I'm happy to email you the file if needed.